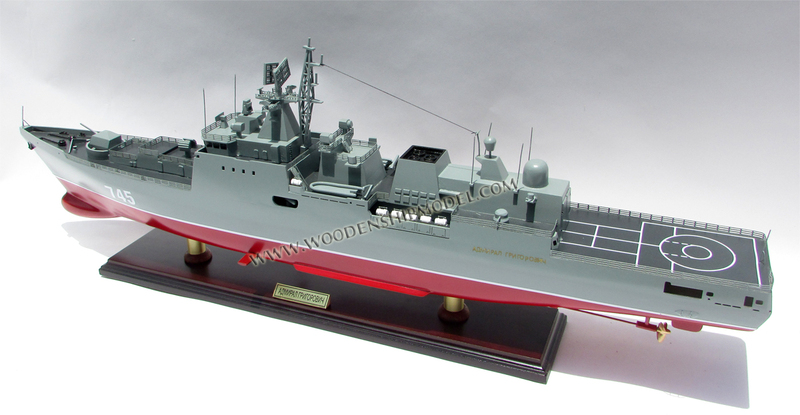 The Admiral Grigorovich class (Фрегаты проекта 11356Р/М) is the latest class of frigates ordered by the Russian Navy for the Black Sea Fleet. 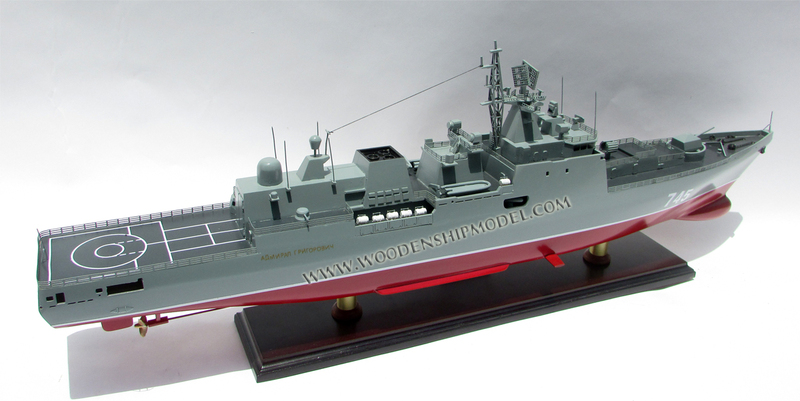 Six ships (two batches of three ships) have been ordered so far to be built by the Yantar shipyard in Kaliningrad. 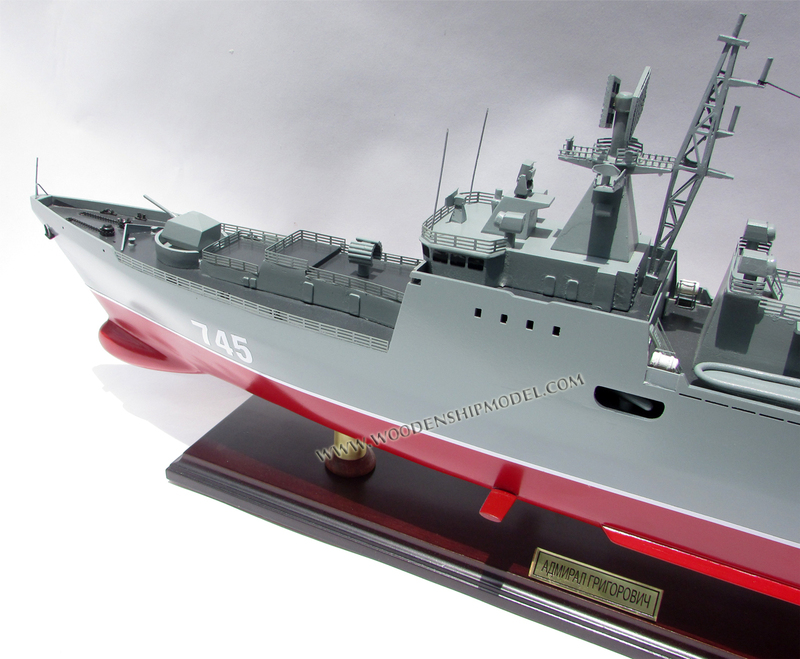 Yantar Shipyard won the contract for the construction of the frigates on 8 October 2010. 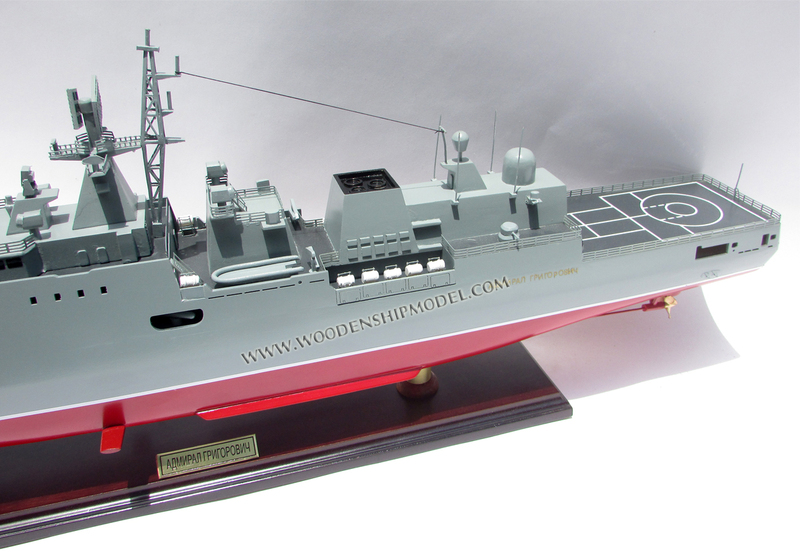 The contract for the construction of three frigates was to be completed in four years. 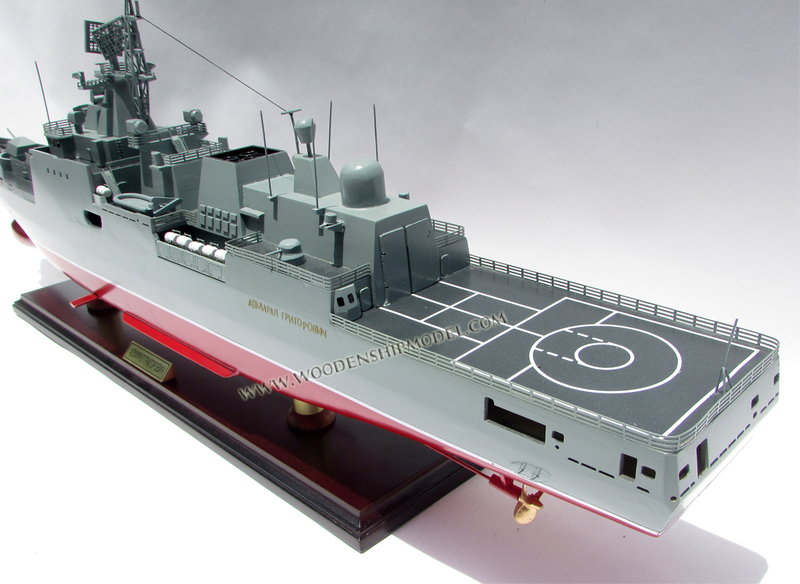 The keel for the lead ship, Admiral Grigorovich was laid down on 18 December 2010 and was expected to be in service 34 months from that date (October 2013). Six similar ships were built for the Indian Navy, called the Talwar class. 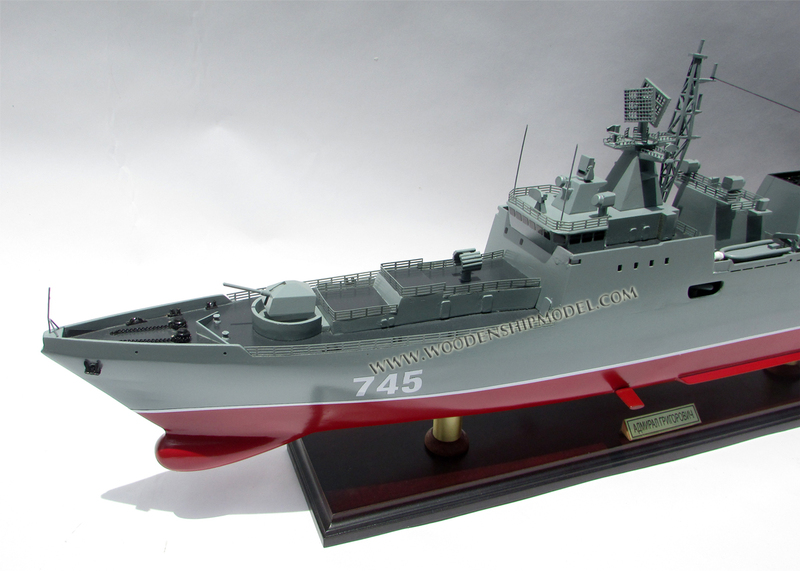 Construction of the ships was commissioned because repeated delays with production of Admiral Gorshkov-class frigates necessitated urgent deliveries of new frigates, based on the proven Krivak-class design, to the Black Sea Fleet. The class's original gas turbines were made by Ukrainian state-owned enterprise Zorya-Mashproekt. The company was a center of Soviet maritime gas turbine design and production. The last three vessels remain without engines as of November–December 2014. After the Ukrainian crisis, Ukraine said it would no longer supply the engines. Instead Russian manufacturer Saturn was initially asked to supply alternative M90FR turbines. However, these cannot be completed before 2019–2020, and this delay seemingly means the Navy would rather use the funds elsewhere. On 9 December 2015 it was announced that the lead vessel was being sent from the Baltic to the Northern Fleet for the next stage of state tests. Some weapons firings are not possible in the Baltic. The lead ship was commissioned on 11 March 2016. 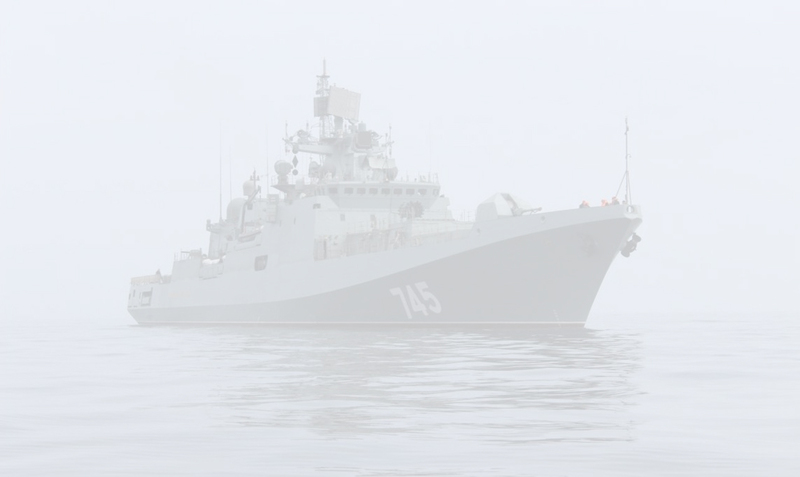 Admiral Grigorivich was deployed to the Mediterranean Sea in November 2016 as part of Russia's deployment to Syria. On 15 November 2016 Admiral Grigorivich launched Kalibr cruise missile strikes against ISIS targets in Syria. Admiral Grigorivich was deployed to the Mediterranean Sea following the US missile strike against Syria in April 2017. 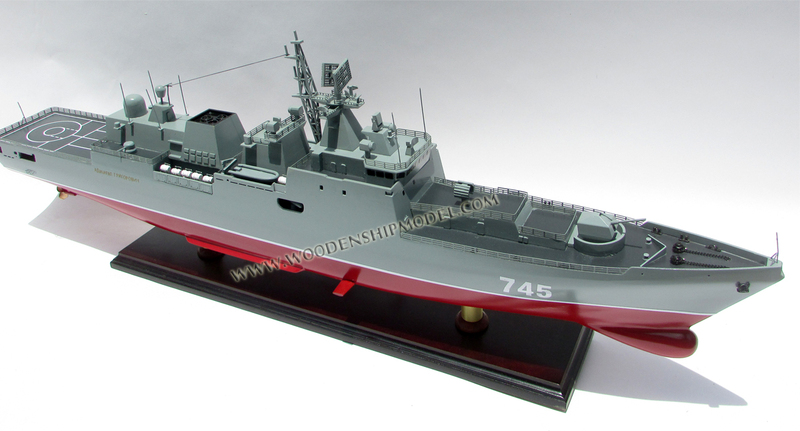 On 1 June 2017, the United Shipbuilding Corporation (USC) announced that it would resume construction of the three remaining frigates that had been suspended since 2015, as it now has access to replacement M70FRU (14 MW) M70FRU2 (6 8 MW) and M90FR (20 MW , maximal at 25 28 MW) gas turbine engines from the United Engine Corporation (NPO Saturn and TurboRus) Plants.